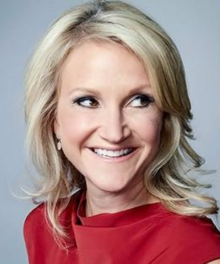 Mel Robbins is best known for delivering one of the most popular TEDxTalk’s in the world: “How To Stop Screwing Yourself Over”. Mel is a powerful keynote speaker who jumps into your audience (literally);creating motivational experiences with unforgettable engagement, surprising research, vivid imagery, original videos and music. Mel is a third generation entrepreneur who’s launched and sold two companies and currently owns and operates a multi million-­dollar publishing and speaking business. Her provocative and compelling views on leadership, courage and human potential have earned her international attention and invitations to train executive teams at some of the world’s leading brands such as The PGA Tour, Million Dollar Roundtable, PwC, CISCO Systems, YPO, Johnson & Johnson, and Chase Business. When she’s not on stage, Mel is on TV or trending on social media for her captivating analysis about the biggest stories of our time. She’s an award-­winning on-­air analyst for CNN and drives millions of page views for CNN.com as one of their most prolific opinion writers. She’s been named “America’s Outstanding Talk Show Host” by The Gracie Awards and has hosted original shows for A&E, Fox and Cox Media. She’s appeared as an expert on a wide range of talk shows, from Oprah to Dr. Phil, Fox News to Good Morning America. Mel is a contributing editor for SUCCESS Magazine and is continually featured in publications like The New York Times and Inc. Magazine. A mid-­western gal who prefers a hug to a handshake, she’s soaring in business because of what she does both on and off stage; helping people reach their maximum potential. Mel is a Dartmouth College and Boston College Law School graduate on a mission to reveal how each one of us can thrive at work and in life. She and her husband of twenty years have three kids and live outside of Boston.